In Edinburgh’s New Town, this Georgian building is just a 5-minute walk from bustling Princes Street and Edinburgh Rail Station. It offers free Wi-Fi access and serves a free buffet breakfast every morning with both hot and cold choices. The restaurants, bars and cinema in the Omni Centre are opposite this Holiday Inn Express. 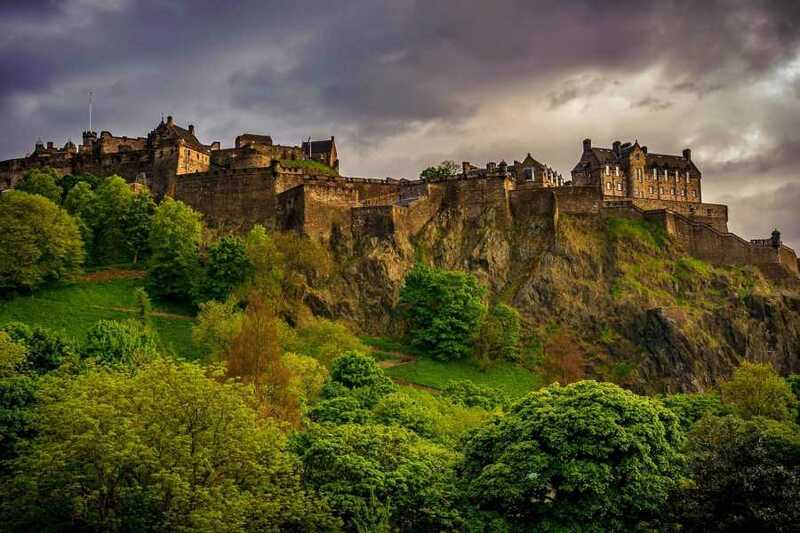 Impressive Edinburgh Castle is 1 miles away, whilst the galleries surrounding Queens Street Gardens are a half-mile walk. 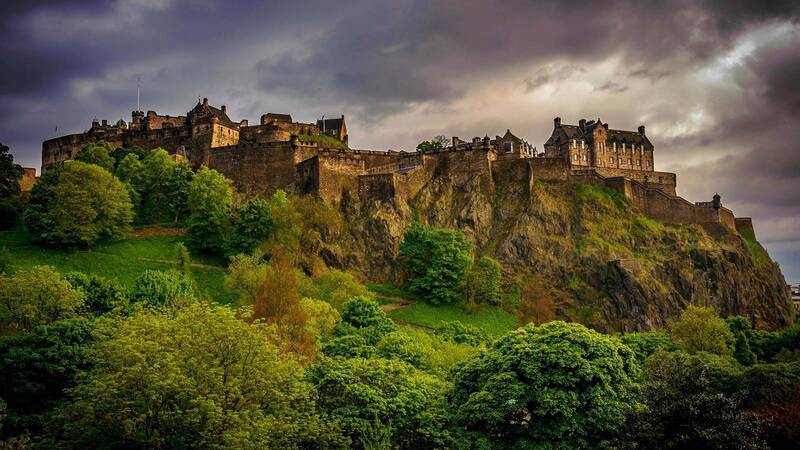 Edinburgh Castle is a historic fortress which dominates the skyline of the city of Edinburgh, Scotland, from its position on the Castle Rock. Archaeologists have established human occupation of the rock since at least the Iron Age, although the nature of the early settlement is unclear. The Royal Mile runs through the heart of Edinburgh’s Old Town, connecting the magnificent Edinburgh Castle, perched high on a base of volcanic rock, with the splendorous Palace of Holyroodhouse, resting in the shadow of Arthur's Seat. The Mile is overlooked by impressive, towering tenements, between which cobbled closes and narrow stairways interlock to create a secret underground world. Peppered with superb attractions such as The Real Mary King’s Close or the Scottish Storytelling Centre, historical sites including St Giles' Cathedral and some of the best eating and drinking spots in the city, the Royal Mile offers much to see and do. For a glimpse of recent history, be sure to visit the ultra-modern Scottish Parliament, a striking building boasting a cutting-edge design. You leave Edinburgh and travel north to South Queensferry. 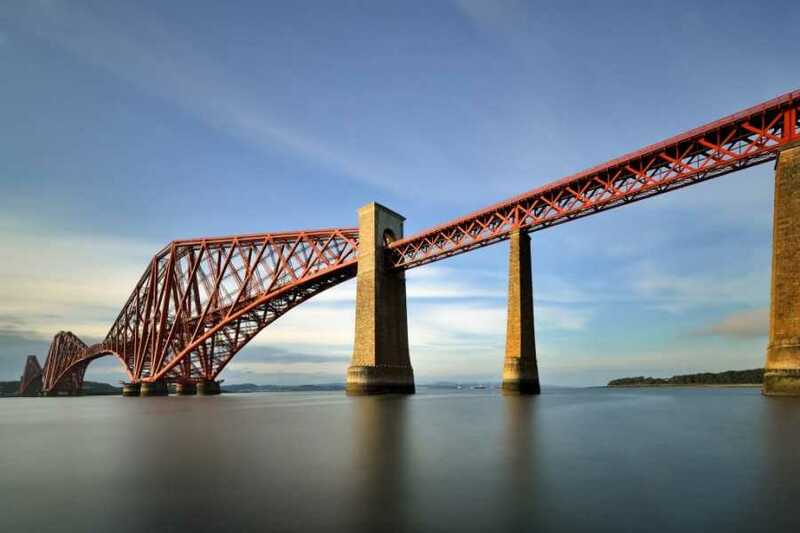 You travel over the Queensferry Crossing, and get a great view of one of Scotland's greatest man-made landmarks, the Forth Rail Bridge. You then enter the Kingdom of Fife and stop in the traditional fishing village of Anstruther (known as 'Enster' locally), where you can check out the old cobbled streets and take a walk along the seafront to the harbour. From Anstruther, we continue north to the medieval town of St Andrews. St Andrew is the patron Saint of Scotland, and according to legend his remains were washed up on the Fife coast. St Andrews is also home to the third oldest university in Britain and a beautiful ruined castle perched on a cliff. You have around two and a half hours to explore this fascinating town. After St Andrews, we take a pleasant drive through the rolling countryside of central Fife to Falkland. Falkland Palace dominates this old village, and was one of the main residences of the old Royal family of Scotland, the Stewarts (Stuarts). Aside from the palace the village is simply one of the most beautiful in Scotland with an array of old cottages and narrow winding streets. Leaving Falkland we return to Edinburgh, passing Loch Leven, where Mary Queen of Scots was imprisoned by her Protestant nobility. And then we once again cross the Firth of Forth and return to the city centre. Stockbridge Market The first of the family of markets, started in 2011. Open Every Sunday all year round 10 am to 5 pm. A great day out for all the family.